By J.P. Holding| It’s alarmingly simple. There are only a handful of options available. That Jesus either a) never made any claims to deity; b) that His claims were altered by His biased followers; or, c) His claims were misunderstood by His ignorant followers. Do these ideas hold any water? 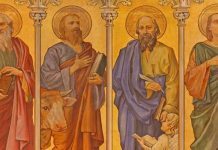 A related argument in this regard is that only John’s Gospel portrays Jesus as claiming to be God; and since it is later than the Synoptics, the claims are the result of an evolution in Christian theology. Now there is no apriori reason to reject John’s Gospel, or even to date it as the latest of the present quartet. Indeed, John A. T. Robinson in Redating the New Testament and in The Priority of John, presents a cogent argument for dating John in the same time period as the other Gospels, around 65 AD, with proto-gospel material and traditions dating into the two decades previous. Others have presented similar arguments for an earlier date for John than is often presumed (see particularly Chars.JDSS, 167-9). And what of the Synoptics? The fact is that there are ample recorded claims of divinity by Jesus in the Synoptics, which operate against the assumption that only John shows Jesus making such claims. The divinity claims in the Synoptics give a quite unambiguous statement of what Jesus meant when He made those claims. 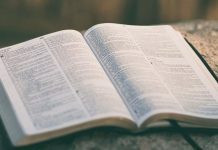 “Jesus is God the Son; the Wisdom and Word of God” – i.e., the second person of the Trinity, which ontologically makes Jesus co-equal with God. Even the NT itself, though it refers to Jesus as God (cf. John 1:1, 20:28), shows a preference for expressing Jesus’ divinity through titles: Word, Savior, Son of God, Lord – and by using language to describe Jesus that is appropriated from OT attributions to Yahweh [OColl.Ch, 144-5]. Harris [Harr.3Cruc, 99-103] agrees with the above in his own analysis, and adds that there would be a certain “linguistic ambiguity” in directly and always referring to Jesus as God – to wit: What would we make of the verse that said, “the Father was in God, reconciling the world to himself”? For the sake of clarity, the distinction had to be kept foremost in the text. The claims of Jesus, at any rate, can be understood and interpreted in light of the context and setting in which they were made: first-century Judea. But what of defending the authenticity of these claims as being the words of Jesus, rather than the invention of his followers? Generally, how valid is this idea that Jesus never claimed divinity? Broken down, it can never be more than a rhetorical and speculative argument; until some device is invented to pluck long-enunciated words from the air, we can not prove, or disprove, that any given historical personage prior to recording technology said anything – and even then there is the possible problem of tampering and doctored records. We can’t absolutely prove that Jesus said “Blessed are the meek”; we cannot demonstrate beyond doubt that Julius Caesar said “Et tu, brute”; we can’t even be sure that Henry the Eighth burped right after breakfast! Not all is thought of as this hopeless, of course; but there are those who think that they have solutions to determine “who said what” in hand. 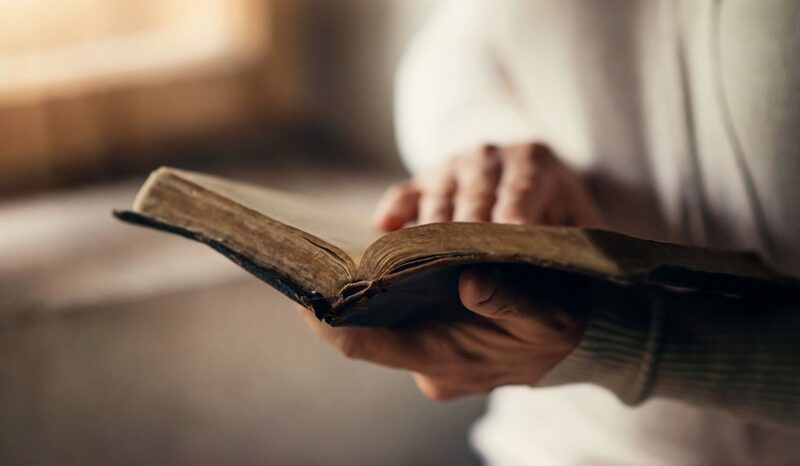 Specifically, the Jesus Seminar professes to use certain guidelines to determine what Jesus actually said: One, for example, is that any saying of Jesus that reflects a teaching of the early church is probably not authentic. This is indeed a dubious guideline. Is it not more probable, rather, that the early church based their teachings on the actual sayings of Jesus? Is this not the normal method whereby any person gains a following? 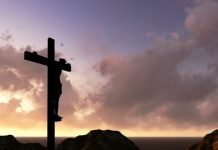 “Studies by New Testament scholars such as Martin Hengel of Tubingen University, C. F. D. Moule of Cambridge, and others have proved that within twenty years of the crucifixion a full-blown Christology proclaiming Jesus as God incarnate existed. The oldest liturgical prayer recorded, in 1 Corinthians 16:22, is dated at around 55 A.D. It refers to Jesus as Lord. So does the earliest sermon and the earliest account of martyrdom. The authors of the NT epistles, including and especially Paul, even in his undisputed letters, use the language of divine Wisdom with reference to Jesus. The earliest pagan report of the church’s activities indicates that Jesus was worshipped as Lord. 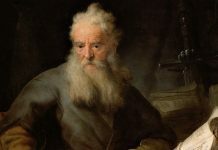 Paul’s letters, written between 49 and 65 A.D., exhibit the same fully-evolved Christology; logically, he must have gotten it from sometime earlier than 49 A.D. Paul cites creeds, hymns and sayings of Jesus that must have come from earlier (Rom. 1:3-4; 1 Cor. 11:23; Col. 1:15-16; Phil. 2:6-11; 1 Tim. 3:16; 2 Tim. 2:8); these items translate easily into Aramaic and show features of Hebrew poetry and thought-forms, which allows us to trace their origins to Jesus’ first followers in Judea, between 33 and 48 A.D. The oldest Christian document shows us Paul repeatedly calling Jesus ‘Christ’ in a way that suggests that, within twenty years of Jesus’ death and resurrection, this comprehensive title for Jesus’ identity and powers was simply taken for granted by Paul and his readers, had practically lost its original significance, and was almost his second (personal) name (1 Thess. 1:1, 3; 5:23, 28). In a notable pre-Pauline formulation, which also goes back to the earliest years of Christianity, ‘Christ’ seems already to have lost much of its titular significance (or messianic expectations) and to be functioning largely as an alternative name for Jesus (1 Cor. 15:3). In his letters Paul uses ‘Christ’ 270 times but never considers it necessary to argue explicitly that Jesus is ‘the Christ’ whom Israel expected. Moreover, as Charlesworth notes, if the church had invented Jesus’ claims to divinity, they certainly “would have been more explicit” than they are in their present form. [Wilk.JUF, 26] Such a reaction begs a historical explanation, and thus we have every reason to believe that Jesus did claim something very unique about Himself and His relationship to God, to the point of identifying Himself with divinity, and no reason to doubt what is recorded in the Gospels is reliable and accurate – and it is to that issue that we now turn. And now to the next suggestion – that perhaps Jesus did say some or all of the things the Gospels attribute to Him, but that He was misunderstood by his followers. Regrettably, with this objection often comes either some outrageous Eastern/mystical interpretation of the claims of Jesus that would never have held water in Judaism – or nothing at all but the suggestion itself without alternative. (One must, of course, when making this suggestion, one should actually name some alternative interpretations of the claims of Jesus and show that these “alternative interpretations” would hold water within the socio-historical context of the Gospel records.) Nevertheless, this argument can be defeated by critically examining the claims attributed to Jesus by the Synoptics (again, for the sake of argument, ignoring John’s Gospel) and determine what meaning they did have in the context of first-century Judea and Judaism. We now offer these mini-essays evaluating the claims of Jesus from the Synoptic Gospels. For a broader study, we recommend Glenn Miller’s trinity series also, from which we will also draw here. Did His followers make this up? The enemies of Christianity and the early church would have declared that Jesus never made such claims, or was misunderstood. Some did indeed do this, but wrote quite some time after the fact. There is no record contemporary or closely contemporary with Jesus (first century AD) that indicates that He never made any special claims for Himself, or that the church invented the claims. Even after that time, however, the major skeptics of the first several centuries never argued this point. Celsus, for example, said that Jesus called Himself the Son of God, but wrongly. Porphyry, one of the most-feared skeptics in the early church, did not deny Jesus’ claims to divinity, but instead tried to ‘downgrade’ Jesus into a hero-type deity (a third-class deity in the Roman hierarchy!). 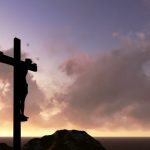 This adds up to strong evidence that (a) the Jesus-never-claimed-divinity argument had not been advanced by skeptics of the time, and (b) if it was used, perhaps by some skeptic whose works we have totally lost, it was so easily dismissed or so lacked adequate credibility that it could not be used by the best anti-Christian skeptics. A parallel movement, that acclaimed Jesus as merely a good teacher, would have emerged alongside Christianity. 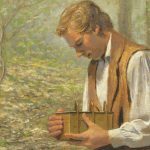 To be sure, there are those such as Burton L. Mack, author of The Lost Gospel, who would have us believe that a such a movement did exist; but conveniently enough, he tells us, it came and went too quickly to leave behind any concrete physical evidence for us to know what happened to them! 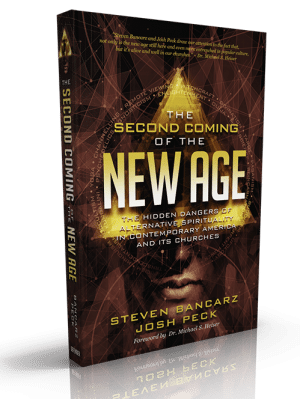 As it is, there are no extant texts from the first century, or even from the century thereafter, that represent Jesus as claiming to be only human or only a prophet–He is ALWAYS portrayed as making exalted claims to a super-human status. Later heresies of the church, such as Gnosticism, involved paganistic and/or mystical additions upon what Jesus meant in the Gospels when He claimed to be God; they never denied that He made any special claims about Himself. As we noted previously, the earliest known pagan critic of Christianity to address the issue, Celsus, argued that Jesus did apply the title “Son of God” to Himself, but wrongly [Wilk.ChrRom, 109]; only much later did those critics deny that Jesus made such claims. The argument that Jesus never claimed to be divine is in fact nothing more than an unsupportable conjecture, an argument from silence competing against the scream of the available data. Each of the above claims, and every known document of the church, even the heretical ones, acknowledge that Jesus claimed divinity. There is absolutely no evidence to the contrary that can be cited. Saying that there is no evidence that Jesus claimed divinity can only be managed by ignoring reams of evidence, or by facile dismissal. C.Telling a lie, and they didn’t know it because they misunderstood. If we choose B), we are left to wonder what motivated Jesus’ followers to begin lying and maintain that lie. 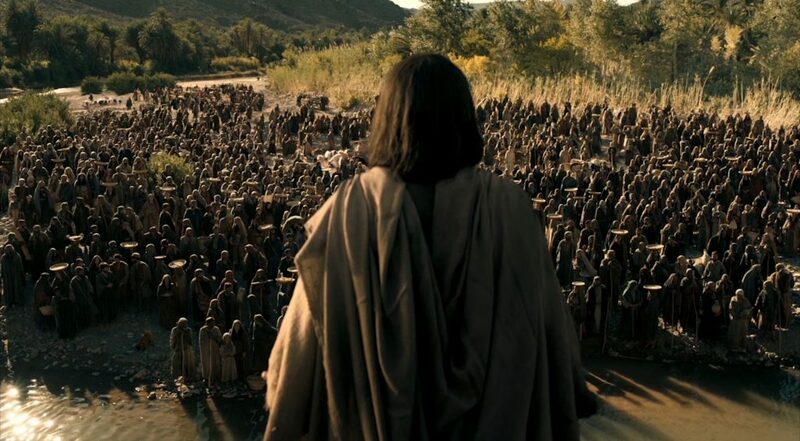 They did not benefit at all by claiming that their Master was God incarnate: They were ostracized, criticized, rejected, persecuted, and in many cases martyred. Nor did they make loads of money by claiming what they did – no Jim Bakkers in this crowd! This being the case, we may ask why none of Jesus’ followers cracked under pressure, or got fed up with persecutions and inconveniences, and admitted that the divinity claims by Jesus were a fabrication. 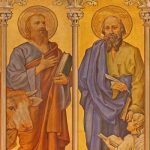 We may, of course, speculate that it is possible that Jesus’ followers lied, but there are no signed confessions, no counterclaims by the Pharisees trumpeting the recanting of a disciple of Jesus – nothing. To argue this, we must argue from silence. More than that, we must argue AGAINST the data of their lives and the witness of history. To raise it as a MERE possibility does not constitute advancing evidence for the speculation. Choosing C) offers a slightly more hopeful refuge for the skeptic. It may be objected that Jesus spoke rather cryptically at times, so that perhaps He truly was misunderstood. But as we have shown in the linked essays, it is hardly plausible that Jesus’ claims were misunderstood; they are too clear-cut when understood in the context of the time and place they were made. Moreover, are there not also degrees of metaphorical difficulty? Some metaphors are easier to understand than others, and some people understand and interpret metaphor better than others! So, how can we be sure that Jesus’ followers didn’t at some point correctly grasp what He was saying? It is only in our modern-day arrogance that we say that they were incorrect, and we, looking down the tunnel of 2000 years, are better qualified to understand (and contrary to evidence!) what Jesus actually said! 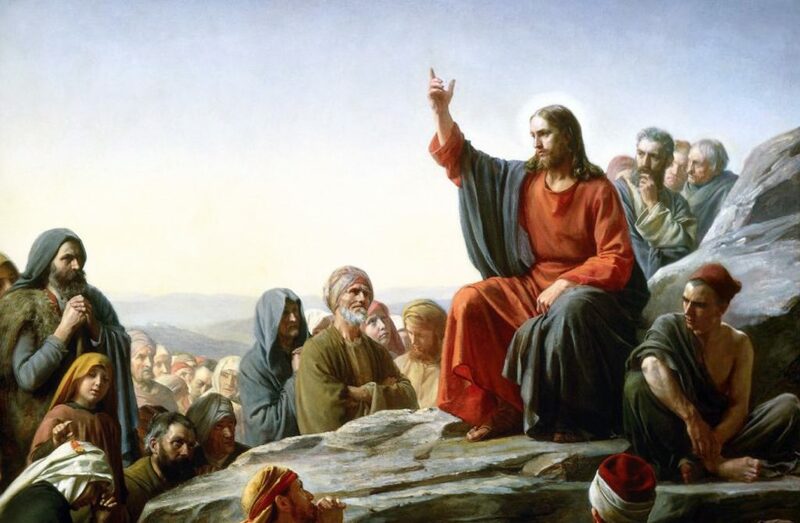 Finally, we are told that Jesus DID explain things to His disciples privately after the crowds were gone: “He did not say anything to them without using a parable. But when he was alone with his own disciples, he explained everything.” (Mark 4:34 – this was standard practice for an inner circle of disciples. For a practical example of this, see the Parable of the Sower in Matt. 13.) These, of course, represent the people who wrote (Matthew, John) or else supplied information for (Mark, Luke) the Gospels. And at any rate, many of the claims to divinity are quite direct, and not in the least metaphorical. Brow.JesGM Brown, Raymond E. Jesus: God and Man. New York: Macmillan, 1967. Bruc.JLS Bruce, F. F. Jesus, Lord and Savior. Downers Grove: IVP, 1986. Case.SOM Casey, Maurice. Son of Man: The Interpretation and Influence of Daniel 7.London: SPCK, 1979. Chars.DSS Charlesworth, James H. Jesus and the Dead Sea Scrolls. New York: Doubleday, 1992. Chars.JesJud Charlesworth, James H. Jesus Within Judaism. New York: Doubleday, 1988. Crai.ApIn Craig, William Lane. Apologetics: An Introduction. Chicago: Moody Press, 1984. Cross.MedP Crossan, John D. The Historical Jesus: The Life of a Mediterranean Jewish Peasant. San Francisco: Harper, 1991. Cross.RevB Crossan, John D. Jesus: A Revolutionary Biography. San Francisco: Harper, 1994. Cull.CNT Cullmann, Oscar. The Christology of the New Testament. Philadelphia: Westminster, 1959.
deJ.CC de Jonge, Marinus. Christology in Context. Philadelphia: Westminster, 1988. Dunn.CM Dunn, James G. D. Christology in the Making. Grand Rapids: Eerdmans, 1989. Fluss.JS Flusser, David. Jewish Sources in Early Christianity. New York: Adama, 1987. Fred.GI Fredriksen, Paula. From Jesus to Christ: The Origins of New Testament Images of Jesus. New Haven: Yale U. Press, 1988. Full.FNC Fuller, Reginald. The Foundations of New Testament Christology. New York: Charles Scribners’ Sons, 1965. Hare.SOM Hare, Douglas R. A. The Son of Man Tradition. Minneapolis: Fortress, 1990. Harr.3Cruc Harris, Murray. 3 Crucial Questions About Jesus. Grand Rapids: Baker, 1994. Hick.MyG Hick, John, ed. The Myth of God Incarnate. Philadelphia: Westminster, 1977. Jerem.NTT Jeremias, Joachim. New Testament Theology. New York: Charles Scribners’ Sons, 1971. Kasp.JC Kaspar, Walter. Jesus the Christ. New York: Paulist Press, 1976. Lind.SOM Lindars, Barnabas. Jesus Son of Man. Grand Rapids: Eerdmans, 1983. Mack.Q Mack, Burton L. The Lost Gospel: The Book of Q. San Francisco: Harper, 1993. JPM.ScCy Moreland, J. P. Scaling the Secular City. Grand Rapids: Baker Book House, 1987. Moul.OC Moule, C.F.D. The Origins of Christology. Cambridge: Cambridge U. Press, 1977. OColl.Ch O’Collins, Gerald. Christology. Oxford: Oxford U. Press, 1995. 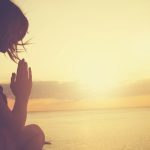 Oni.WhoD O’Neill, J. C. Who Did Jesus Think He Was? London: E. J. Brill, 1995. Sand.HistF Sanders, E.P. The Historical Figure of Jesus. New York: Penguin Press, 1993. San.JesJud Sanders, E.P. Jesus and Judaism. Philadelphia: Fortress, 1985. Schnack.BC Schnackenburg, Rudolf. 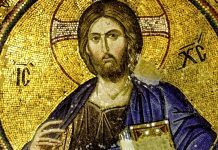 Jesus in the Gospels: A Biblical Christology. Louisville: Westminster, 1995. Schoe.PP Schonfield, Hugh. The Passover Plot. Shaftesbury: Element, 1965. Todt.SOM Todt, H. E. The Son of Man in the Synoptic Tradition. Philadelphia: Westminster, 1965. Verm.JJ Vermes, Geza. Jesus the Jew. Philadelphia: Fortress, 1973. Rom Wilken, Robert. The Christians as the Romans Saw Them. New Haven: Yale U. Press, 1984. Wilk.JUF Wilkins, Michael and J. P. Moreland, eds. Jesus Under Fire: Modern Scholarship Reinvents the Historical Jesus. Grand Rapids: Zondervan, 1995. Youn.JesJT Young, Brad H. Jesus the Jewish Theologian. Peabody, MA; Hendrickson Publishers, 1995. This article was originally published on Tektonics and was republished with permission.